Could this be the Grocery Store 2.0 ? HomeCould this be the Grocery Store 2.0 ? “Imagine Whole Foods at dollar-store prices,” this is part of the opening line from a recent article by Rob Hoffman for the Plaid Zebra (Read the full article HERE). Needless to say, this certainly caught my attention, and drew me into the story of Daily Table. This is the new grocery store concept from Doug Rauch (former president of Trader Joe’s) in Dorchester, Boston earlier this year. I agree totally that there is a huge need for all people to have access to healthy food, regardless of their budget. Who can argue with the value of this? One of the reasons that I started Green Phoenix Farms, was to help individuals and families learn how to produce their own healthy foods using Aquaponic (and now hydroponic) systems. That is still a primary goal for me, but the larger issue is ACCESS to healthy food. With our food system in the United Stated bloated and biased towards mono-crops supported by huge subsidies, and the fact that we waste over 30 percent of the total food production due to poor distribution and “appearance” issues (i.e. Bruised or “ugly” foods) — we need to re-evaluate how the entire system works. 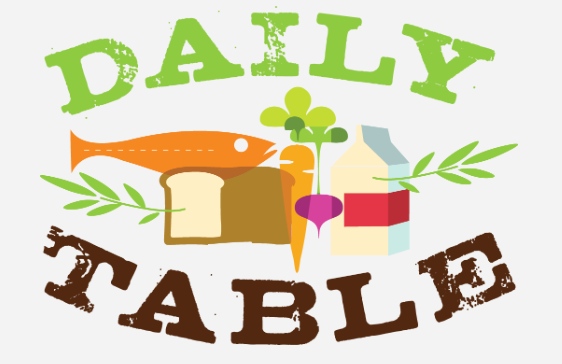 I strongly encourage you to take a closer look at the concept of The Daily Table, and imagine the possibilities of a store like this in YOUR neighborhood… What could you do to help this happen? I challenge you to talk to your friends about the possibility of this, and to begin the dialogues that could bring us a step closer to the reality of healthy, affordable food for all.